You've been to the Trancy manor many times. 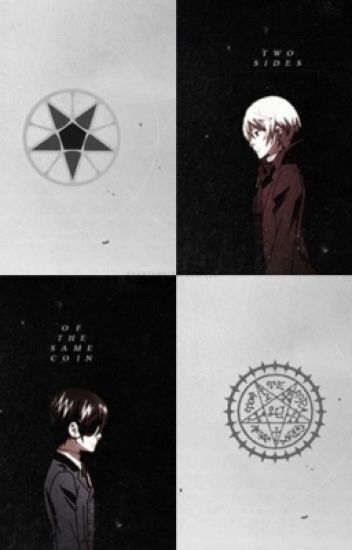 You've known Alois since he was a child and was chosen to be next in line for earldom. Love circulates your heart every time you see him. ~~ You are the Queens niece, who has lived with her ever since your parents got brutally murdered, everyday you get sexually abused by your frightening butler, Benjamin. one day your aunt asks you to come with her to the phantomhive manor. This is the second book before you read this read the first one or you will be so confused the story is getting much deeper after ____ dies or that what you think... Read to know! You were the daughter of a successful family. You had it all, the fame, the money, the looks. You met a boy who you'd eventually fall for. You then start to learn some things, not only about him...but about yourself as well. His name? Alois Trancy. Running away from your cruel parents and Forced to live with an annoying boy and his mysterious butler. Pretty much hell. You thought the first night staying. The hell you saw in the boy and manor would fade and you would soon realize you were brought here for a reason. your mother the queen. sent you to live with but ciel Phantomhive and  alois both fall for you  . so who will you choose. In one hand, a blond boy who would kill for you and in the other, a dark Earl who doesn't wish to admit his feelings for you. what will you choose when your family is being illegal? It's a dark storm night in your Manor, your all alone and it's dark and quiet and then Something happens and it includes a pervert blonde boy with fangs, in your bed. You're a Trancy maid. You're job is simple. Keep your master happy, and to not get injured if he gets angry. But maybe you have some royal blood. And maybe, just maybe, you were supposed to be betrothed to your master. You worked for the Queen, you were very close to her, almost like the sister she didn't have. Yet you were still young. You were mature, but childish. Smart, but oblivious. Kind, but devious. You could find out how people were killed easily. It wasn't exactly difficult, but you had to think outside the box. You ended up on a case with the queens guard dog, Ciel Phantomhive. It was only once, and you hadn't spoken to him directly, but you had helped. After that you had gone to one of his parties, one thrown by his betrothed, Elizabeth. You were actually trying to escape her 'everything must be adorable' rule when you bumped into Alois Trancy. Shortly after you two had become close friends, but Alois wanted to be more than 'just friends' and he became obsessed. Soon murders had been popping up all over. They were completely random to most people, but they were all people who were close to you. Only you recognized this. At every site there was a number along with the words 'figure it out, your running out of time, dear Y/n.' What happens when the numbers hit zero? What will happen to you? Who is doing this? Why? All you need to do is figure it out. But its easier said than done. And with no clues or leads, you just might not make it.